New price $1,295 shipped within the CONUS. International extra. That's less than the price of a new one direct from Albion, plus you get a scabbard starter kit. Bump up. Still available folks! 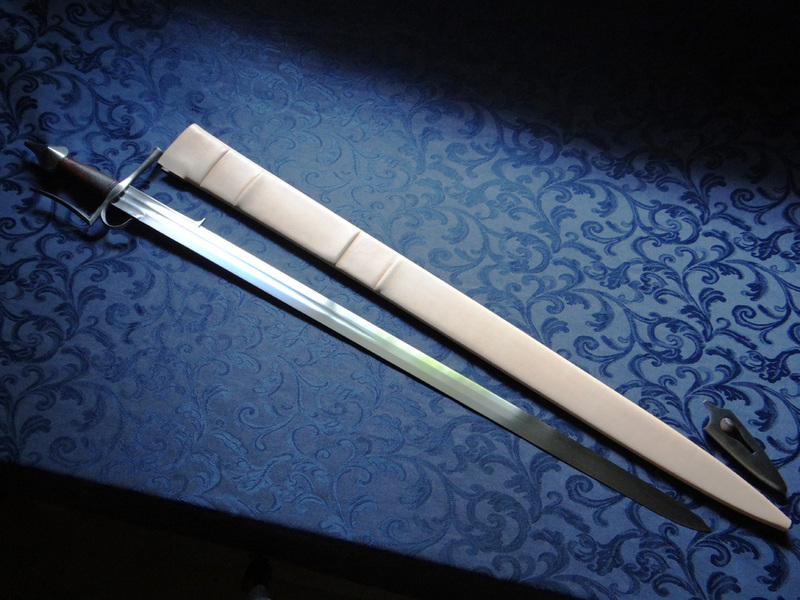 This is an exquisite sword, and is a joy to handle. The wool lined poplar wood core is also a very challenging wood core to build, and is included! This one is now sold. Thanks for looking everyone.